YouthActionNet equips the world’s greatest asset—young people—to solve our greatest challenges. 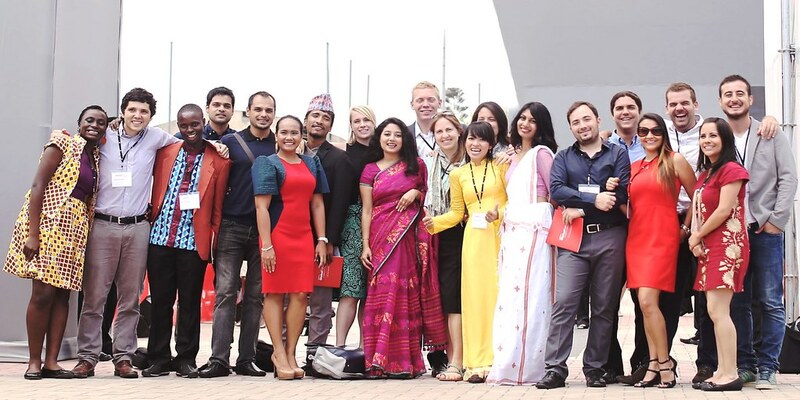 A signature initiative of the International Youth Foundation, YouthActionNet was founded 18 years ago in the belief that youth are uniquely positioned to build a more just and inclusive world. Our global network of 24 locally-owned and operated youth leadership institutes ensures that aspiring and accomplished young social entrepreneurs gain the support they need to deliver on their social change goals. More than 2,000 young leaders in 92 countries have already benefited from the leadership training, funding, networks, and resources we provide. Our support strengthens and expands the impact of youth-led ventures in fields like education, healthcare, social inclusion, and environmental protection. From harnessing technology to increase civic participation in Mexico to using martial arts to empower women in Jordan, in 2017 our fellows’ ventures mobilized 30,000 volunteers and impacted over 1.6 million lives. Yet our work is just beginning. Today’s youth generation—the largest in history—represents an enormous resource for transforming broken systems. Studies confirm that youth possess the creativity and drive to lead positive change but lack the support they need to translate their passion into practical solutions. In a 2016 survey, 60 percent of respondents across our fellows network reported first feeling inspired to lead change at age 16 or older, yet only 41% felt their schooling strongly supported their ability to lead change. How can we ensure that the systems young people engage with most—universities and schools—are shaping them to become proactive and engaged citizens? We work with universities to systematically foster social change mindsets among the next generation. Our university partners now serve as hubs for social innovation, and each offers a locally-accessible ecosystem of support for aspiring young leaders, who also benefit from a host of online learning opportunities.